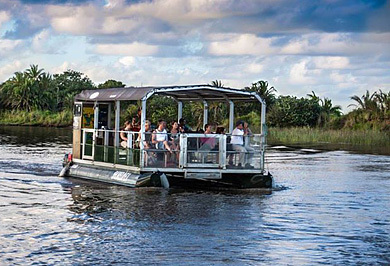 Far and Wild Safaris will collect you after your breakfast from your overnight accommodation in Durban or from the King Shaka International Airport and travel along the scenic Dolphin Coast and into rural Zululand, to Shakaland. 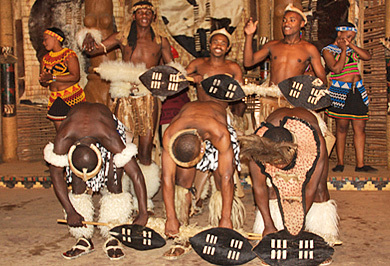 Shakaland is a "living" museum and here you will feel the pulsating rhythm of mysterious and magical Africa as you re-live the excitement and romance of the days of Shaka, King of the Zulus, in this authentic re-creation of the Great Kraal overlooking the Phobane Lake. 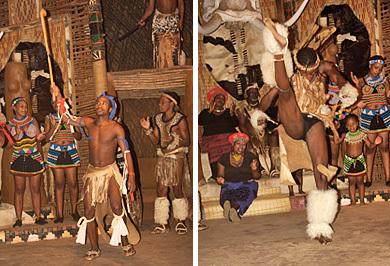 Experience the sight of assegaai-wielding warriors, share the fascinating secrets of the Sangomas and witness traditional customs such as tribal dancing, spear making and the beer-drinking ceremonies. 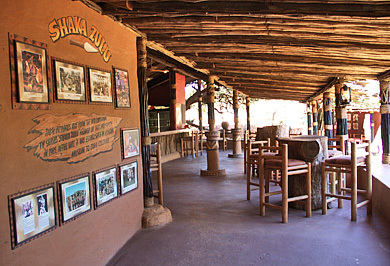 After lunch we depart for the Ghost Mountain Inn in Mkuze where we overnight, arriving in the late afternoon. 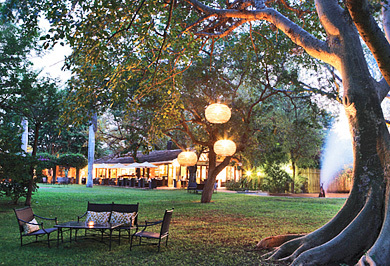 At the foot of the legendary Ghost Mountain lies the Ghost Mountain Inn, a perfect setting for taking time out to relax and experience the charms of Africa in comfort and style. 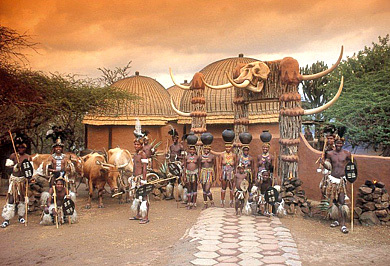 After our visit here we will travel directly to the "big 5" Hluhluwe iMfolozi Park where we would spend two nights at Hilltop Camp. 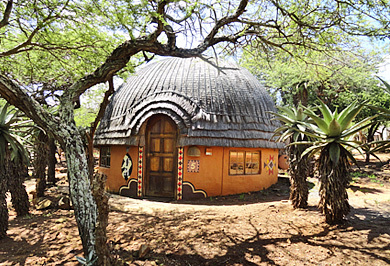 The accommodation here is in brick under thatch chalets, each bedroom with its own private bathroom, with bath (shower in the bath) hand-basin and toilet. Each chalet is also equipped with a fridge and tea station. Today will be spent on extended game drives to various areas of the Hluhluwe iMfolozi Park, with an early start to make the most of the day and to possibly chance upon predators on a kill or returning to their day-time lair. 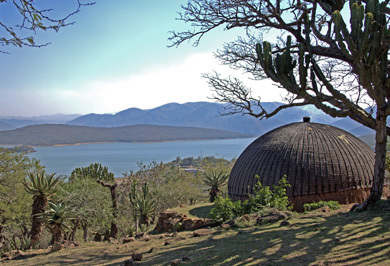 Set in the heart of Zululand, this is the oldest game reserve in Africa, where Zulu kings such as Dingiswayo and Shaka hunted and put in place the first conservation laws, where today the "big five" have been returned to live in this verdant savannah. Proclaimed in 1895, game viewing is the prime attraction. 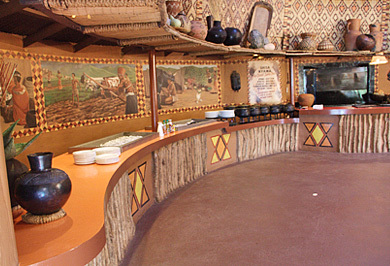 As the home of Operation Rhino in the 1950s and 60s, the Park became world renowned for its white rhino conservation. 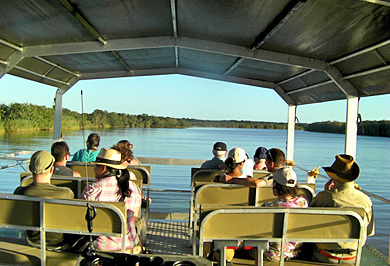 The Park covers some 96 000 ha and contains an immense diversity of fauna and flora. 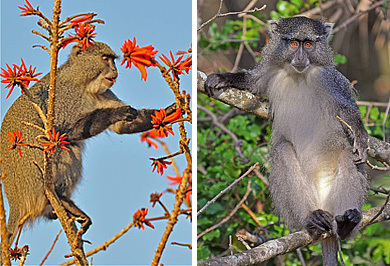 The northern Hluhluwe sector is characterised by hilly topography, and this section of the park is noted for its wide variety of both bird and animal life. Sightings of rhino, giraffe, buffalo, wildebeest, zebra, warthog, baboon, vervet monkey, and antelope such as impala, nyala and kudu are seen frequently, with the possibility of seeing lion, leopard, cheetah, elephant, black rhino, hippo, crocodile, monitor lizard, hyena and antelope such as red duiker, steenbuck, waterbuck, bushbuck and then the rare Samango monkey and wild dog, much less frequently. These drives are conducted with your guide in his/her vehicle. This morning, more game viewing follows as we leave the Hluhluwe iMfolozi Park to arrive in time for lunch in St. Lucia. We will check into our lodge and then visit the eastern shores of Lake St. Lucia, heading to Cape Vidal on the shores of the Indian Ocean, game viewing all the while. 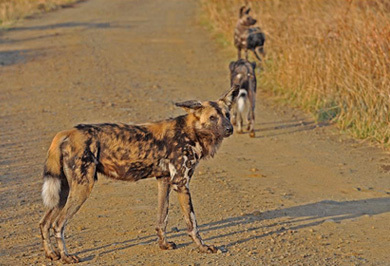 After a visit to the beach we would continue on a circular route for a game drive before returning to our lodge. Animals that may be seen here include kudu, reedbuck, zebra, waterbuck and other antelope species, black and white rhino, elephant and on the odd occasion, leopard. 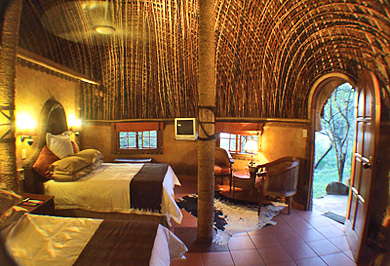 We will overnight at Lidiko Lodge (or similar). Lidiko Lodge is set above the Great St. Lucia Lake on a coastal dune, the main lodge offers bed and breakfast accommodation in well appointed air-conditioned en-suite garden rooms. 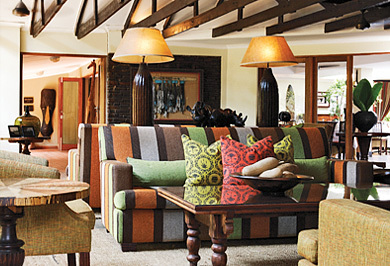 All rooms haver a private patio and lead onto the tropical pool area and park like gardens of the lodge. After breakfast we will board a boat for a two hour cruise on the lake estuary, in this proclaimed World Heritage Site. 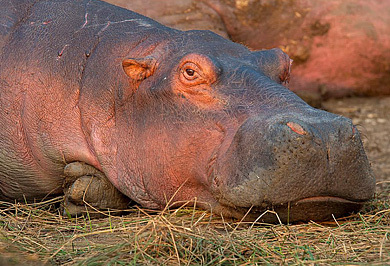 Here you are guaranteed to see hippo, and a very good chance of seeing crocodile and a vast array of bird-life.